Everyone loves spaghetti but what about chicken spaghetti? 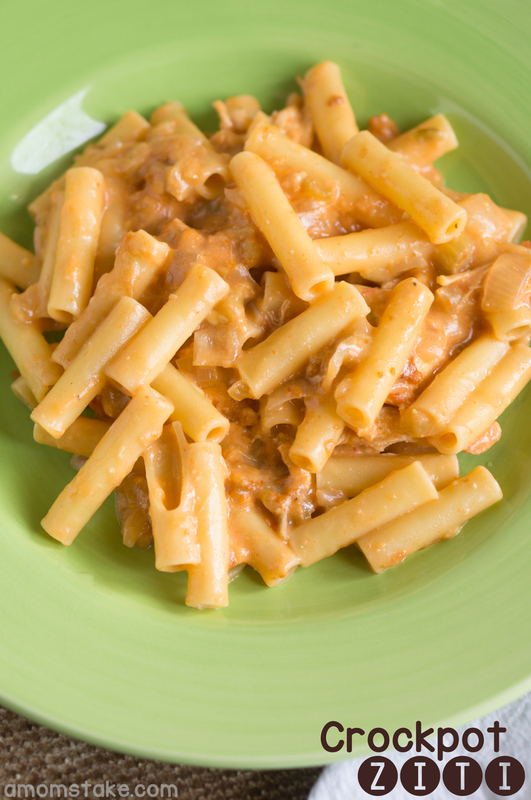 This easy Crockpot Chicken Spaghetti is rich, creamy and loaded with entirely too many calories but is absolutely to die for. I prefer letting the sauce simmer on low all day and cooking my pasta at the last minute while others prefer breaking up the uncooked pasta and letting it cook along with the sauce. 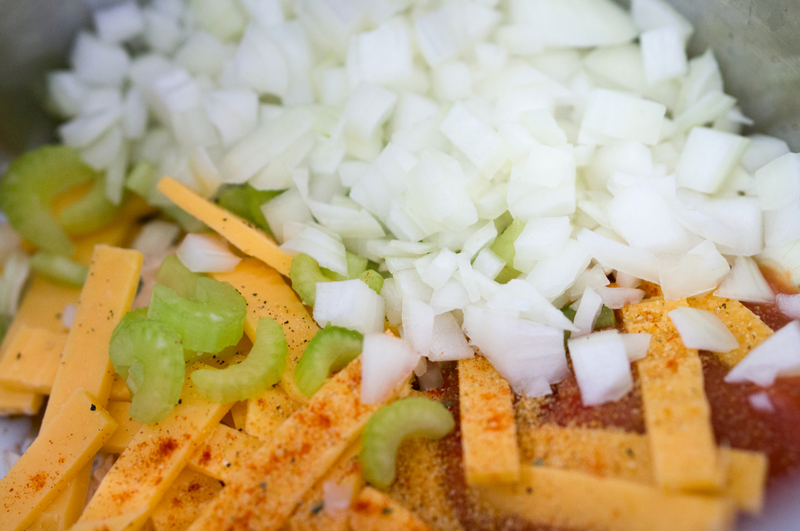 Try it out both ways and see what your family prefers but regardless, you are sure to enjoy this tasty meal regularly. I love crockpot meals because they truly couldn’t be easier. Ready for the directions? It’s just two steps! Combine all ingredients save pasta in crock pot. Cook on low for 4-5 hours. Cook pasta prior to serving and toss with sauce. Serve with a side salad or favorite veggie side dish. Click to print/save this recipe. 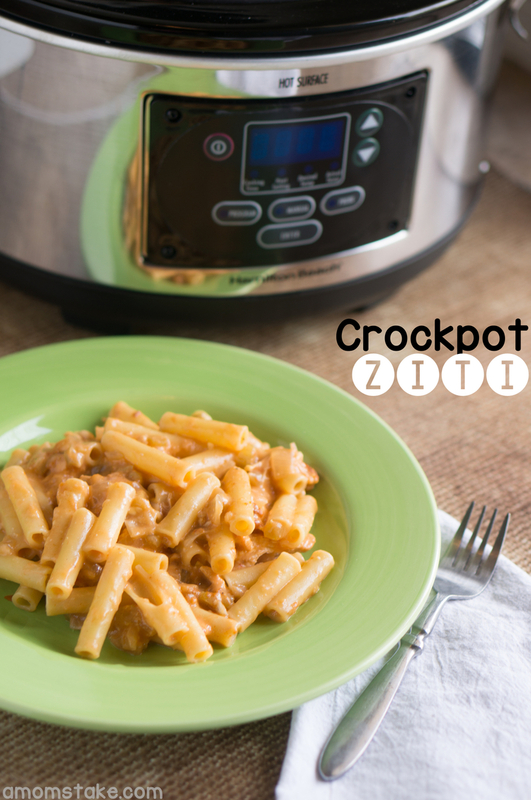 Easy recipe you can toss in the crockpot and it will turn out delicious! Cook pasta prior to serving and toss with sauce. This is the ultimate indulgence in our house and always brings rave reviews. For an easy evening meal you can also make large batches of this and freeze to pull out and toss into a crockpot in the morning and leave on low all day for easy crock pot meals that cook slow all day.